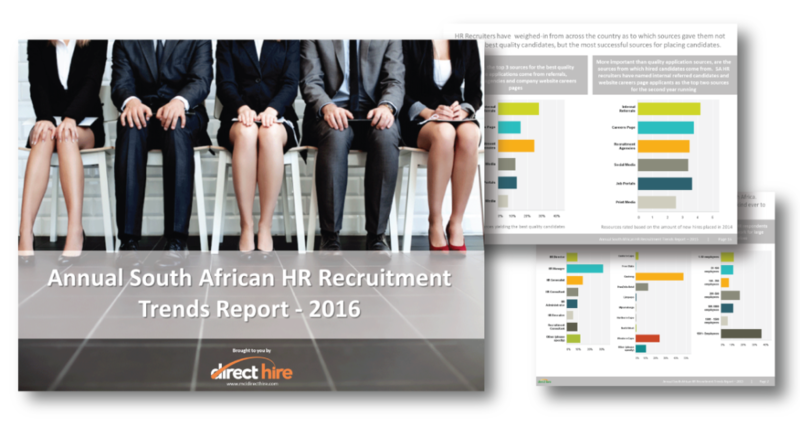 The much anticipated 2016 HR South African Recruitment Trends report whitepaper is now available to download for free. This report is based on South Africa’s largest annual HR Recruitment Trend survey and is the most definitive source of recruitment trends currently available. This report is based on responses from 1388 Survey participants across South Africa. The HR Recruitment Survey on which this report is based, was the biggest of its kind ever to be conducted in South Africa.